California-based world’s leading fund operator The Capital Group reduced its holding in Hyundai Motor Co. from apparent concerns about its performance from faltering sales but remained on as the third largest stockholder in the household Korean vehicle maker. The global asset management company in a disclosure Monday reported that The Capital Group Companies and its affiliates sold a 0.86 stake, or 1,848,436 shares, in the Korean automaker during the trading hours on Feb. 27. Hyundai Motor shares rose 3.72 percent to close Tuesday at 125,500 won ($111.08) in Seoul. The sale has lowered the combined ownership of The Capital Group Companies from 7.16 percent to 6.3 percent but still command the third largest holding after Hyundai Mobis (21.43 percent) and National Pension Service (8.7 percent). Market analysts said The Capital Group made such a decision on concerns about Hyundai Motor’s sagging sales that have led the company to unplug one of its plants in Beijing and is unrelated to the campaign by U.S.-based activist fund Elliott Management Corp to influence Hyundai Motor to pay more cash dividends. 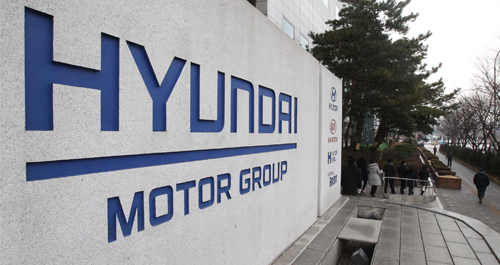 The Capital Group with $1.6 trillion assets under management said it and its specially related parties will not exercise de facto influence on the management of Hyundai Motor during the holding period. It is considered a long-term investor, not an activist fund, a Hyundai Motor official added. It had continuously upped its stake in Hyundai Motor since March 2017 when it first revealed that it held over 5 percent in the Korean auto giant. Hyundai Motor will hold this year’s annual shareholders’ meeting, in which shareholders will also vote on the proposals of Elliott, on March 22. The U.S. hedge fund last month sent a letter to other Hyundai Motor shareholders to vote for its demands to the company – upping dividends and appointing its recommended foreign candidates as the company’s independent directors.